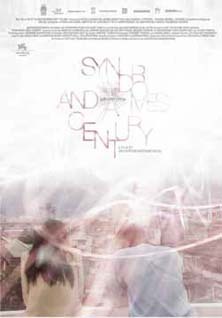 Syndromes and a Century (Thai: แสงศตวรรษ saeng satawǎat, literally Light of the Century) is a 2006 Thai drama film written and directed by Apichatpong Weerasethakul. The film was among the works commissioned for Peter Sellars' New Crowned Hope festival in Vienna to celebrate the 250th anniversary of the birth of Wolfgang Amadeus Mozart. It premiered on August 30, 2006 at the 63rd Venice Film Festival. The film is a tribute to the director's parents and is divided into two parts, with the characters and dialogue in the second half essentially the same as the first, but the settings and outcome of the stories are different. The first part is set in a hospital in rural Thailand, while the second half is set in a Bangkok medical center. "The film is about transformation, about how people transform themselves for the better," Apichatpong said in an interview. In Thailand, Syndromes and a Century became controversial after the Board of Censors demanded that four scenes be cut in order for the film to be shown commercially. The director refused to cut the film and withdrew it from domestic release. Since then, the director had agreed to a limited showing in Thailand where the cut scenes were replaced with a black screen to protest and inform the public about the issues of censorship.